Nationality: Half Native American, half Scottish. Born in Scotland. Looks: He has light brown hair that is shorter in the back and a little longer in the front. As well, his bangs sorta stick out to either side, which keeps his hair out of his face. His skin is very tan from traveling with his older brother before he came to the Order. Very tall, but skinny, Muir is part Scottish, part Native American. He mostly looks like his Scottish father, but he did retain his mother's ability to tan and her calm eyes. Personality: Muir is a very quiet, but stubborn guy. He is a very loyal friend, but can seem a little aloof at times. Due to being with his older brother for many years, he is very patient. He is also a very non-partisan person and will not take sides in an argument unless he is involved. He has a passion for collecting stones and there are small pebbles covering the shelves of his room. He keeps them in little jars that are labeled with the name of the country that they're from. Burning Stones (Song of the Stones): By singing a string of really low notes that Muir calls the Song of the Rocks, he can conjour up a ring of stones that surround an opponent. These stones are on fire and circle around an enemy, creating a circle of fire that explodes into a collumn of flames. Death Blade (Song of the Black): Singing the Song of the Black, a song thats notes varie from high to low, Muir can conjour up a black broadsword that he can weild as a weapon. The sword itself has one special attack: Blackest Night. However, when Death Blade is used, Muir cannot speak at all, which limits his attacks greatly. Blackest Night (Song of the Black had to be used first): After using the Song of the Black, Muir can channel his energy into the sword. His energy becomes a white shroud around the sword, which remains black. 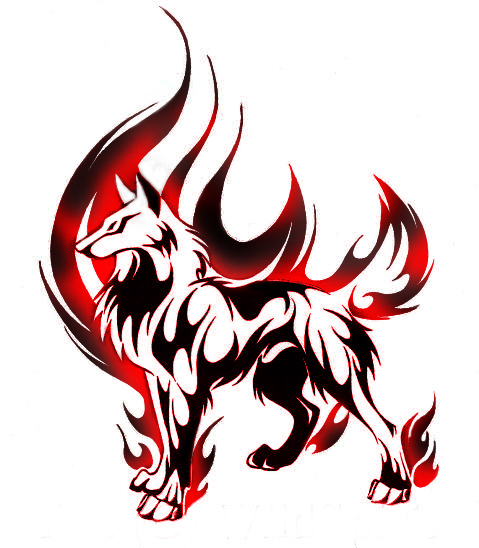 Swinging the sword, he can unleash a black wolf that constantly howls from the blade. 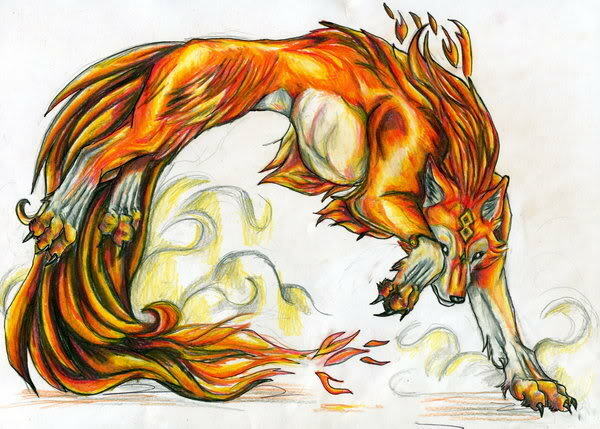 The wolf rushes forward and charge through an enemy and if he hits, his howling causes damage to the inside of the opponent, destroying his/her hearing as well as their organs. Past: Muir was traveling with his brother, Aillen (whom his Innocence is named for). They were in the jungles of India, when they came upon a hunter who was trying to shoot a group of tigers for their skins. The hunter was obviously from Europe. Aillen whispered a curse to his brother, who took it as a sign that the hunter was bad and had to be stopped. Before Aillen could do anything, Muir ran out in front of the man. Muir, being only five, didn't really understand that guns could kill you and ran out just as the hunter shot. The bullet went into Muir's neck, which should have killed him instantly. However, the bullet was actually Innocence. The hunter had bought the bullets from a nearby village, where another peice of Innocence had been found years earlier. When the bullet entered Muir's neck, he fell back and started having trouble breathing. The veins on his neck started to protude and Aillen rushed out, trying to help his brother. However, the hunter had grown angry and shot Aillen too for interupting his hunt. That shot went into Aillen's chest, spilling blood everyone. One of the two adult tigers, a huge female, attacked the hunter, killing him. The female walked over to Muir, who had fainted. Glancing over at Aillen, who was dying from the bullet wound, she opened her mouth and in English asked, "What's his name?" Aillen who thought that he was going insane, laughed and whispered, "Muir Walker Black... he's my brother. Please, watch over him." Then Aillen died. Muir, who upon waking, found himself surrounded by the two tigers and their two cubs, discovered that his brother was dead. So Muir named the new tattoo on his neck after Aillen. Before Innocence Arc: Muir was born in a small Scottish town, but his mother and father were both claimed by a strange disease. So, his older brother, Aillen, took him and left the town, traveling from place to place around Europe. When Muir was three, Aillen got a job working as a doctor in a small village in India, where help was deserpatly needed. While they were traveling, Muir recieved his Innocence in the hunter incident (see above) that also claimed Aillen's life. From that point on, Muir lived with the small family of tigers. After recieving Innocence Arc: Muir, becaue of his Innocence, learned how to comunicate with the tigers and was accepted as a part of their family. However, only a few days after they'd taken him in, the family was captured by a group of men who wanted to take them to a lord's palace in England. They took Muir with them, realizing that the only way to get the tigers to go with them would be to take Muir along. So Muir's life in England started. He was raised in the menagerie by the tigers, Sunface and Warmheart, whom the lord's wife had named King and Theresa. Their cubs, Muir's foster siblings, were named Bigclaw and Forestwill, but they were called General and Elena. Muir learned to walk on all fours and roar like a tiger. He even learned how to purr. Due to only being around a few humans, none of whom treated him like another human, he became very cold towards his own race. Dispite this and his attempts to tell Theresa otherwise, she made him continue to speak English around the humans. She told him that this would prevent them from becoming overly suspicious and think that he was completly wild. Even though Theresa, King, General, and Elena could all speak human English, they prefered not to because they didn't want the lord to kill them. Then when Muir was eight, King (Sunface), came down with a horrible disease. He was seperated from his family and quartined somewhere else. The family didn't hear anything about him for days, until Muir decided to sneak into the lord's house. The menagerie was set next to the house, a large greenhouse where the tigers were allowed to roam through the tropical trees, trying to hide from the prying eyes of the lord's children. Muir had only been into the house once, and he'd hated it. However, to find out what happened to King, he had to do it. Sneaking into the house through the side door, he avoided the servants and tiptoed up the stairs. He stopped outside a door, hearing voices coming from inside. Peaking in through a crack in the door, he saw the lord and another man dressed in a long black jacket whispering. Suddenly the door was flung open and the man in black stared down at Muir. Frozen in fear, Muir shook and didn't move at all. "Who are you?" the man had asked. "He's Muir," the lord explained. "He's the child I told you about, the one that lives with the tigers." The man leaned down and asked, "Was King your foster-father then?" Muir nodded, afraid to speak. When the man reached for his neck, Muir didn't fight. The man's black gloves were soft against his skin. "Ah, I see," the man chuckled. "You're an Accomadator." "What is that?" Muir asked in perfect English. Pointing to the tattoo on Muir's neck, the man said, "You can use something called Innocence. If you come with me, I can teach you how to use it." Muir raced back to the menagerie, roaring for Theresa. She'd come in a flash, her paws pounding on the stone walk. She found Muir shaking, hidden beneath a tree. He explained what happened and when he'd finished, she purred, "You must go with him Redheart." Redheart was the name that his siblings called him when they spoke with their tiger voices. Theresa almost never called him that. "He will teach you to be human again. Go with him." At that moment, the man in black had stepped into the menagerie and found them. Shaking, Muir glanced up at Theresa who gave him a look. He nodded and gripping the tree, stood up on two legs, his knees cracking. That had been another thing that Theresa had schooled him on. He needed to remember how to walk as a human did. The man in black helped Muir walked out to a carriage that was waiting at the front enterance. Picking up the very underweight child, the man had set him in one of the seats, sitting down across from him as he waved good-bye to the lord. When they had left the gates of the lord's property, Muir asked, "Who are you?" "I am an exorcist. I, like you, use Innocence." He tapped on the long staff that was proped up next to him. "Welcome to the Black Order."